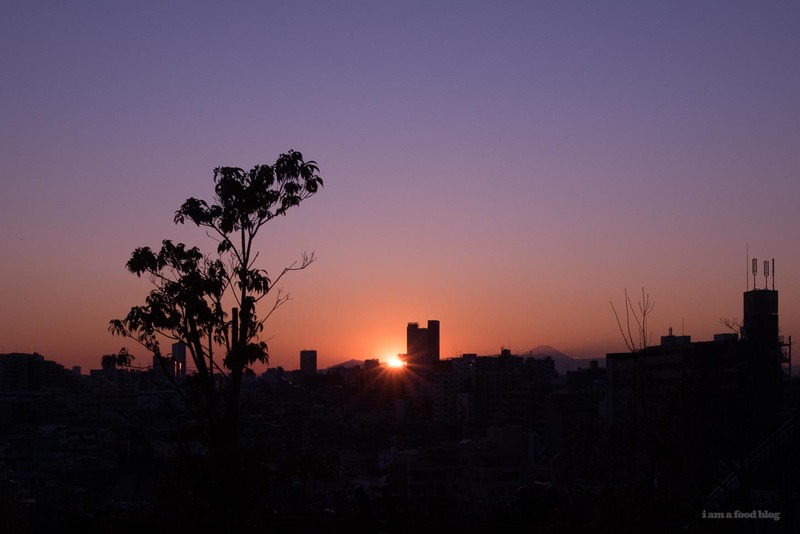 Have you ever wondered if you can see Mount Fuji from the middle of Tokyo? The answer is YES! Here are four places you can cop a look at Japan's most famous peak. If you’re visiting Tokyo (lucky you!) maybe you’ve asked yourself, can I see Mount Fuji from Tokyo? The answer is YES! Mount Fuji is Japan’s tallest peak and is less than 75 miles southwest of Tokyo city. 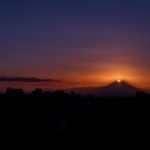 It’s definitely visible and if you’re only in town for a short while and don’t have time to take the train out to see Fuji-san, a quick glimpse is sure to warm your heart. Plus, if you’re right at the base of Mount Fuji, you can’t actually see the sunset with Fuji in it, so it’s nice to take a peek at him when you’re a little farther away – you get a much more majestic view. Solamachi is the giant mall that’s attached to Tokyo’s tallest building, Tokyo Skytree. If you’re going to the observation decks of Skytree, you’ll definitely see Mt. Fuji. But if you’re just heading to Solamachi for some light shopping/eating, just head up to the 30th floor (the restaurant level) for a clear view of Tokyo with Fuji-san peeking out. On a clear day you’ll have a gorgeous view. You’ll find a couple of benches, an excellent view of Tokyo Skytree, and Mount Fuji in the distance. If you go at sunset, you’ll also find a bunch of older Japanese peeps hanging out watching the sun go down over Tokyo. Meguro Sky Garden is a quirky round rooftop park that sits on top of the expressway. It sounds like it would be extremely noisy, but it’s in a quiet little neighborhood and the park is gorgeous and mostly empty. 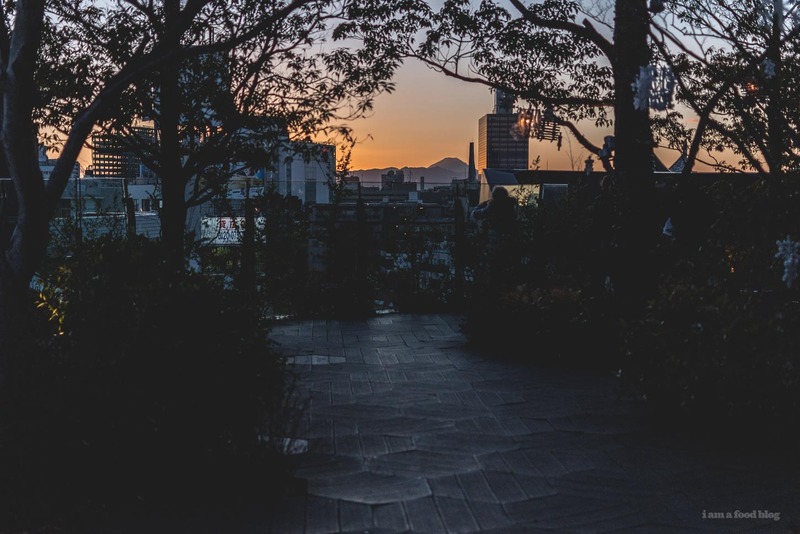 Take the elevator up to the top, exit the elevator and wander on the rooftop garden with a 180° views of Tokyo. If it’s a clear day, you’ll see Mt. Fuji in the distance. There’s a viewing area with a helpful photo that shows you which direction to look in. 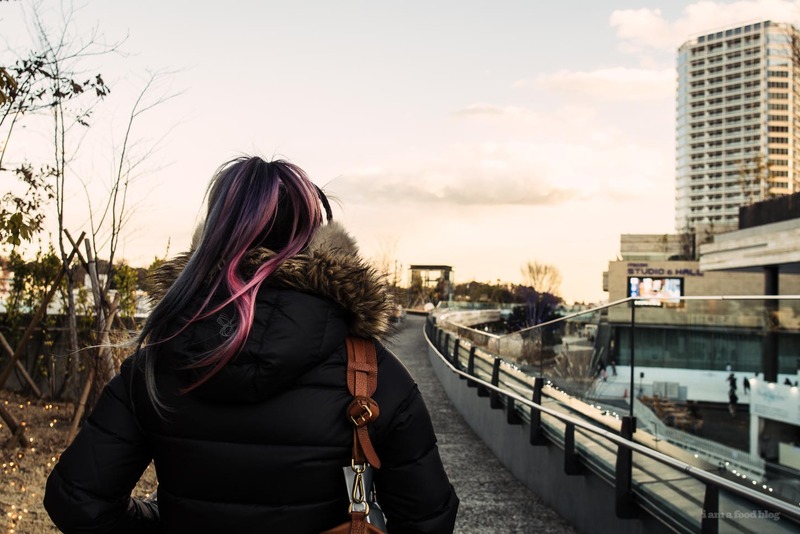 Futako-Tamagawa is probably a little bit out of the way for the average visitor to Tokyo, but is a very cute area that is popular with a lot of locals. 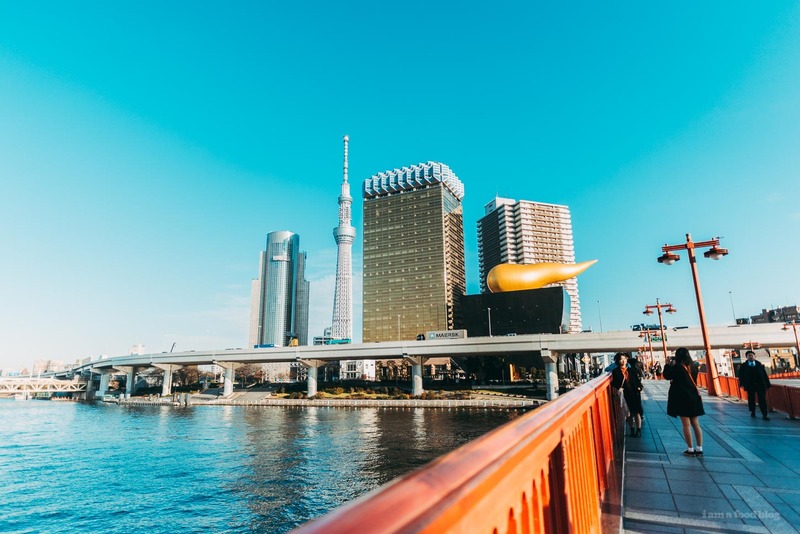 It happens to be one of Tokyo’s most expensive residential areas and has recently been built up with the main focal point being the giant shopping area that is connected to the train station. There are two different rooftop-ish viewing areas and you can see Fuji-san from both. Plus, if you go, you can check out the massive Tsutaya Electrics store – it has a huge amount of Japanese kitchen things. I love poking around kitchen stores just to stare covetously at all of the fun appliances. This is probably the most easiest place that you can see Fuji-san from right in the center of Tokyo. You’re probably going to be hitting up Omotesando/Harajuku. Maybe you’ve even been inside the Tokyo Plaza with the fun mirrored escalators? At the very top of the mall, there’s an insanely busy Starbucks and a very lovely rooftop garden. If you peek in between the buildings, on a clear day, you’ll see Fuji-san, just hanging out. If you go right at sunset you’ll get the most prettiest sunset, with Tokyo and Fuji. All right, that’s it! Four places that you can peek at the elusive Mount Fuji from right in the middle of Tokyo. And, as a bonus, all of these places are free, which makes it kind of nice so you can save your monies to eat things like high-end sushi! PS – Check out our Must Eat Tokyo Guide, Tokyo Snack Guide, Tokyo Gyoza Guide, Tokyo Fluffy Pancake Guide, and Tokyo Wonton Ramen Guide! 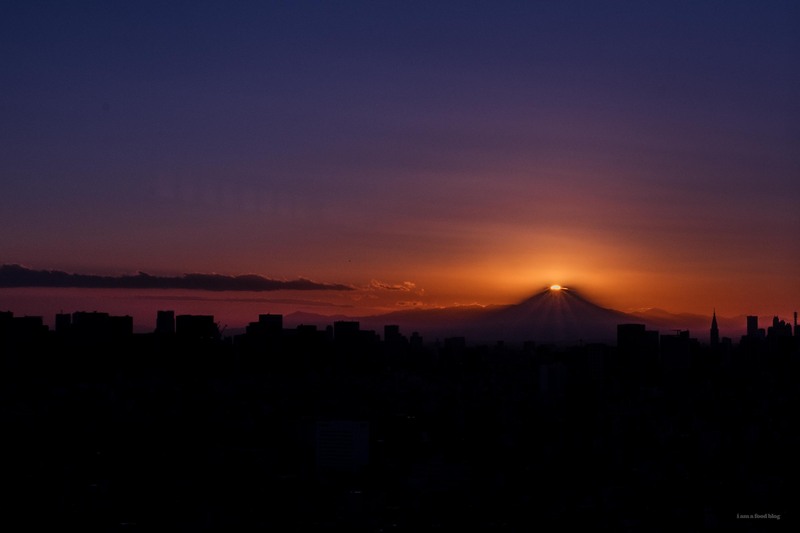 PPS – Mount Fuji can be kind of shy; he’s often covered by clouds. The best time to see him is during the winter, on clear days. Summer can be hit or miss. Also, it’s best to try to see him in the early morning.